Since the second century, the Catholic Church has had a clear history of belief that Mary was ever-virgin. Some people, however, would try to refute our belief. They refer to the lines that speak of “the brothers of the Lord” as proof that Mary had other children. This is simply not true. The word in Scripture that is translated as “brother” is adelphos in Greek and aho in Hebrew. In both cases the word literally means “male relative.” While it does not preclude the possibility that Mary had other children, neither does it prove that she did. The best translation of the word would be “kinsman.” For example, in the book of Genesis, Lot is referred to as the aho or “brother” of Abraham, yet we know from the story that Lot was his nephew. There are other strong indications that Jesus did not have any blood brothers. For one, Mark refers to Jesus’ brothers in Chapter 6 as “James and Joses and Judas and Simon.” (Mark 6:3) It would seem to many from this that they were other children of the Blessed Mother. But in his account of Jesus’ passion, Mark mentions that, standing at a distance were “Mary Magdalene, Mary the mother of James and Joses, and Salome.” (Mk 15:40) If James and Joses were other sons of the Blessed Mother, then why wouldn’t Mark call this woman “the mother of Jesus?” Would it make any sense not to do so? The fact that Mark calls this woman “the mother of James and Joses” rather than “the mother of Jesus” is because this woman was not the Blessed Mother but someone else; thus, James and Joses were not his siblings but probably his cousins. Also, John relates the beloved story of Jesus entrusting Mary into the care of St. John at the foot of the cross. (cf John 19:26-27) There was a law at the time of Jesus that, if a woman was widowed, the oldest son was to take care of her; otherwise, she’d be left destitute. If the eldest brother died, the next brother took care of her, and so on. St. Joseph was obviously dead by the time of Jesus’ ministry, and Mary is always somewhere behind the scenes throughout all Jesus’ ministry. Jesus was clearly the firstborn son. If we count all the men referred to as “the brother of the Lord,” there would be about seven of them. As Jesus was dying, the care of Mary would automatically fall to the next son, and then the next, and so on. There would have been about seven men to care for her. So why, then, did Jesus entrust her into St. John’s care? Because there was no one else! With Jesus dead, Mary would have been left destitute, and so even in His passion, He provided for His mother’s care. We also know from ancient traditions that Mary followed along with St. John during his ministry. Are these proof that Mary had no other children? No. But they are strong indication that she did not. The first time Mary was called ever virgin was in a document called “The Protoevangelion of St. James.” This document, written somewhere between 140-170 AD, while not historically significant as an eyewitness testimony of the life of Christ, is nonetheless a valuable historical testimony to the fact that the perpetual virginity of Mary was a belief held very early on in the Christian community. The document is subtitled, “An Historical Account of the Birth of Christ, and the Perpetual Virgin Mary, His Mother, by James the Lesser, Cousin and Brother of the Lord Jesus, a Chief Apostle and First Bishop of the Christians in Jerusalem.” This is very significant, as it clearly demonstrates that already in the second century AD Mary was considered ever-virgin; furthermore, it clearly calls James a cousin of the Lord Jesus. No one could possibly present a document making these claims as being credible if in fact it was known that Mary had other children. Furthermore, there is no ancient evidence of any belief whatsoever that Jesus had siblings. Every ancient tradition testifies to the credibility of the Catholic belief in the perpetual virginity of the Blessed Virgin Mary. Why does that matter/ Well, for one, could you imagine the problems that would have arisen if Jesus had had siblings? They may have tried to claim a role of prominence simply because of their bloodline. (Remeber Dan Brown’s hoax?) But more importantly, it shows us the nature of the call of God. God doesn’t merely use us; when He calls us, His call is permanent. Virtually all Christians admit that Mary was a virgin when she gave birth to Jesus. If after the birth of Jesus, Mary and Joseph then went on to have other children and raise a regular family, it would seem as if God used her and then dismissed her. It would be as if He had said, “Thank you! I used your virginal womb to accomplish my task, but now it’s done and your services are no longer needed. You may go now!” God doesn’t use us; He calls us permanently! I like to think of it this way: suppose you went to a friend’s house for dinner and they told you they had had eight priests in their family, all of whom have passed away, but they kept their chalices in remembrance of them. Then you go to the dining room table, and there at each place setting is one of the priest’s chalices. The hostess then pours Pepsi into them and says, “Okay now, drink up!” I think you’d be horrified. We’d surely say, “Hey! Those chalices held the Precious Blood of Christ! In soing so, they were forever consecrated and should never be returned to ordinary use!” The same thing with Mary’s womb. By conceiving Jesus, it was consecrated as the very womb of God. To allow it to be used afterwards for others would seem a desecration of something holy. 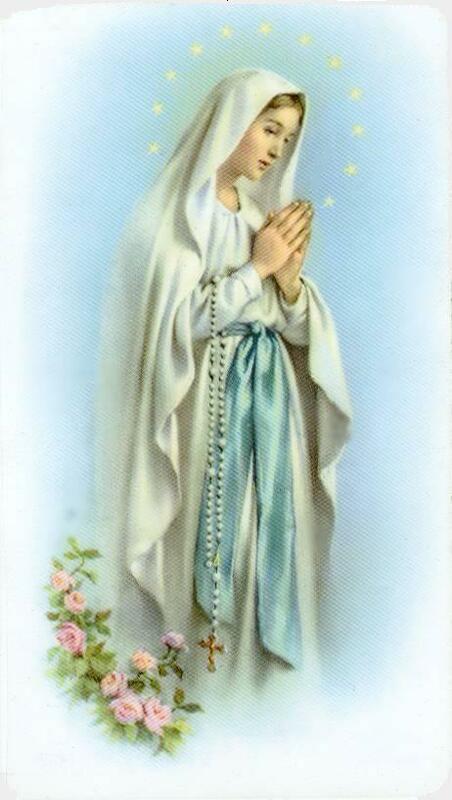 So, while it may not be necessary for the salvific work of Christ for Mary to have retained her virginity, it does tell us of the unique and irrevocable call of God for all of us, as is witnessed by the Perpetual Virginity of the Virgin Mary.